Another great day has been had by all. There has been so much enthusiasm and determination. 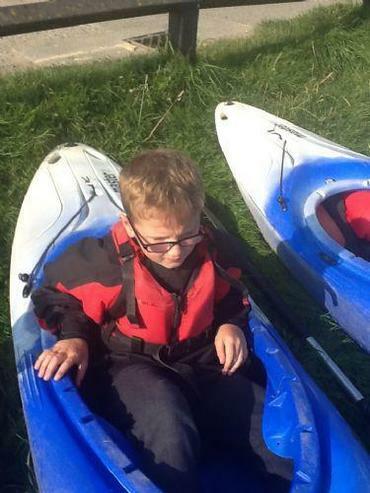 The children have each had the chance to battle with a wetsuit ready for surfing as well as enjoy a 'mess about on the river' in their kayaks. 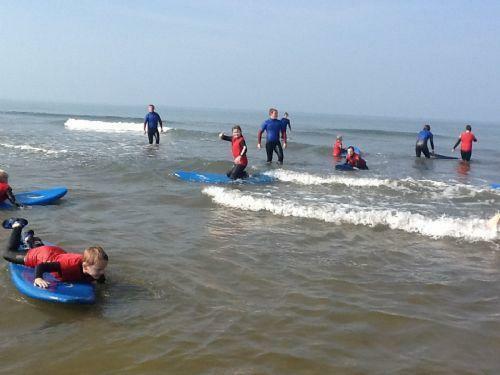 This morning, the surf was a little flat, but there was plenty of opportunity for fun, building group rafts, running the surfboard bridge as well as riding the odd wave. This afternoon however, the wind picked up and with the tide coming in there was more chance to catch a wave. We have a few naturals, managing to stand up several times. 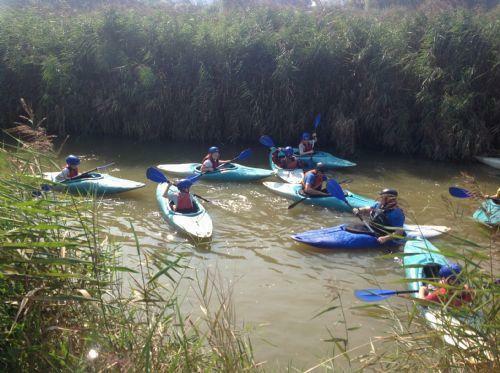 Kayaking was great fun. 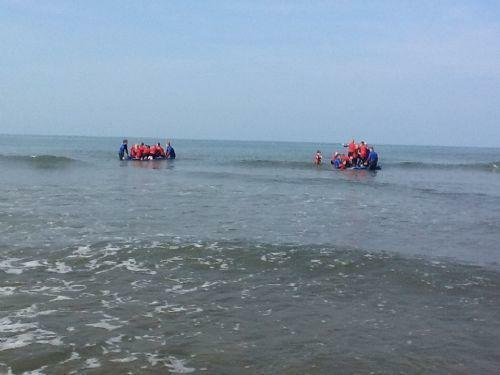 Some children managed to remain dry, whilst others took the plunge and capsized. Regardless of this, everyone had great fun and Tyler showed great bravery conquering his fears and taking part and joining in.